that cable management makes me want to fly to where ever you are and do it properly. are those three radiators really enough? 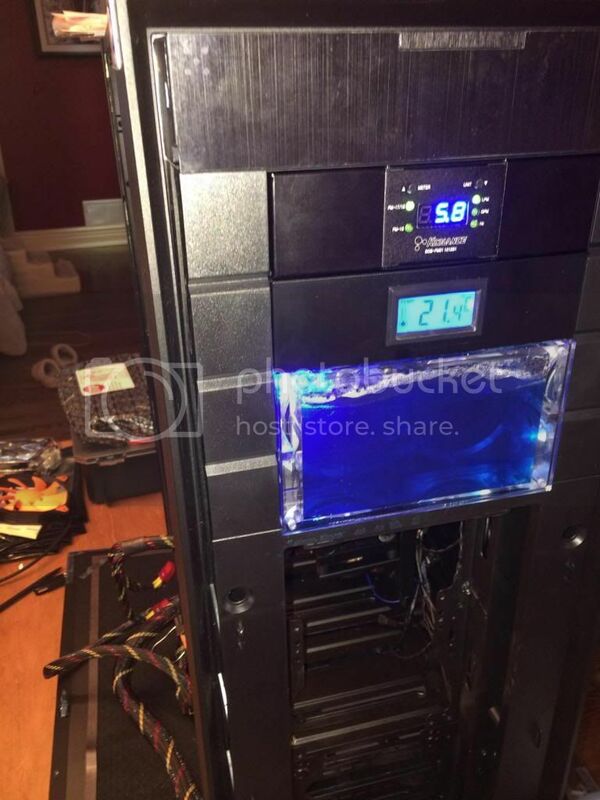 gpufreak has like 2802384032 radiators on his quad 7990 systems. (01-11-2014, 09:46 AM)radix Wrote: that cable management makes me want to fly to where ever you are and do it properly. (01-11-2014, 12:53 PM)epixoip Wrote: are those three radiators really enough? 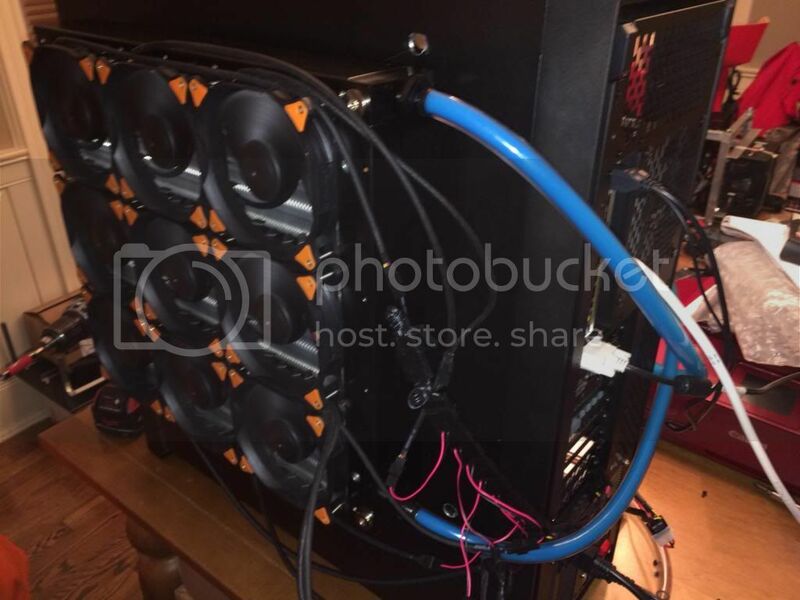 gpufreak has like 2802384032 radiators on his quad 7990 systems. 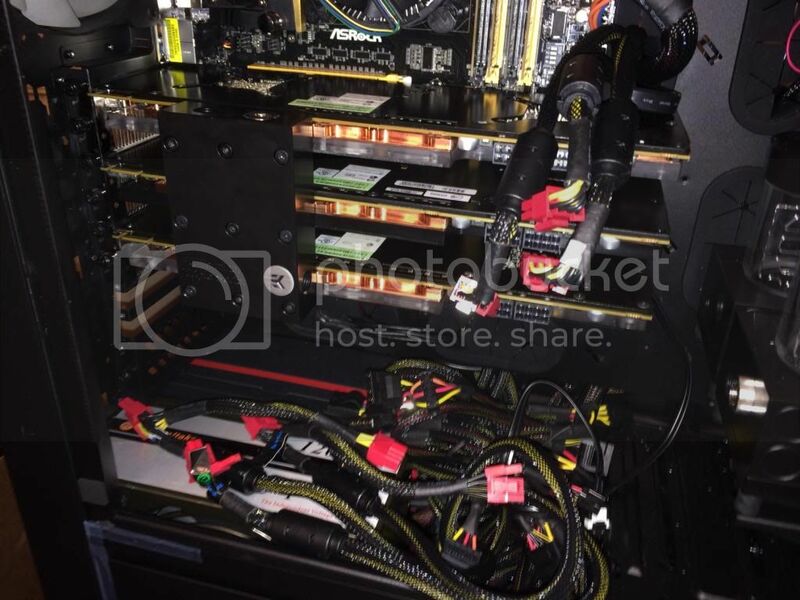 How will you be running the 8 card setup as that gives you 16 GPUs? The driver only supports 8 last I knew. eight cards is not possible. max is eight GPUs. so four 7990s max per system. ah ok, that makes more sense. but i still don't know if that will be enough radiators. 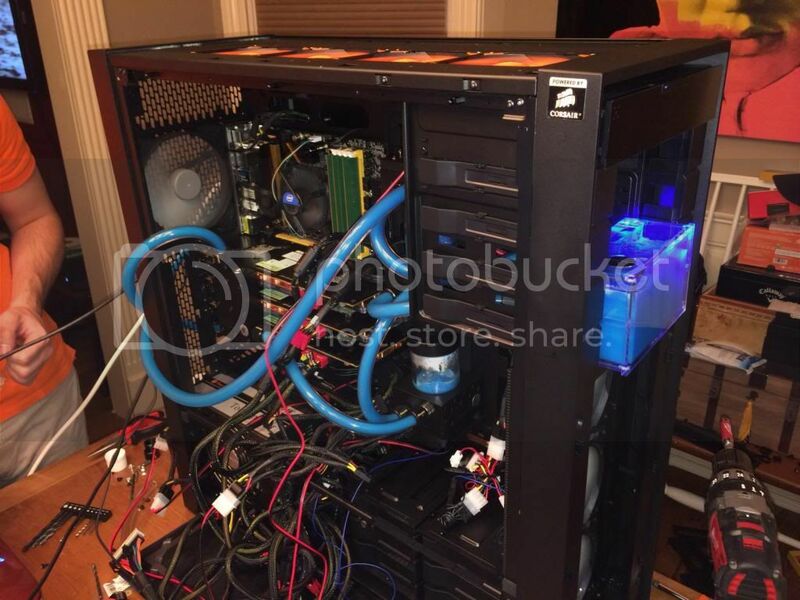 seriously, check out gpufreak's build. 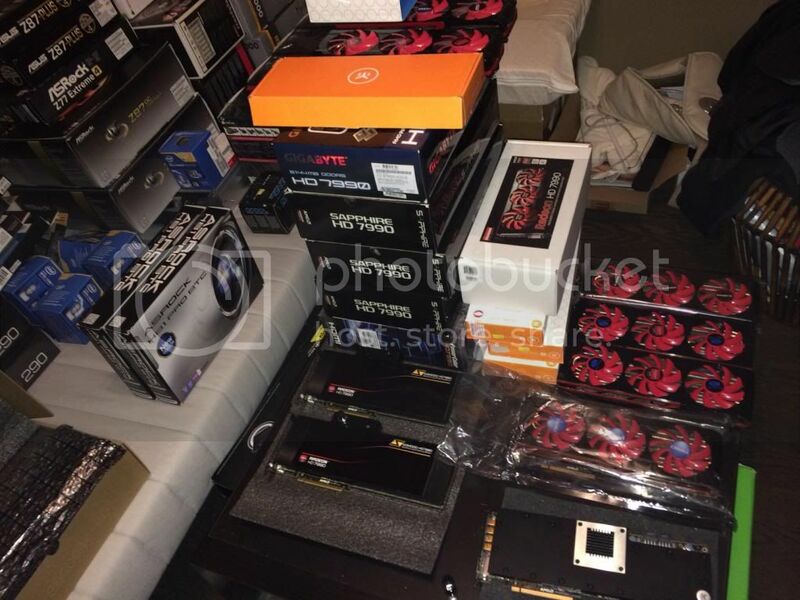 you could build a fortress out of all the radiators he has for his 7990s. 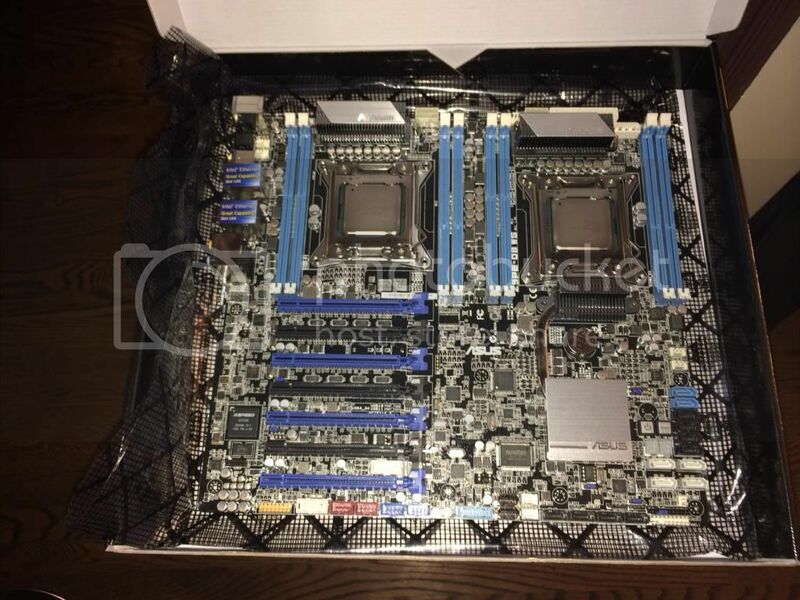 So coming along on the 3 7990 liq cooled buildout and new boards and procs and a bunch of EK stuff came in yesterday and we started another 7990 buildout but we needed more CPU power. 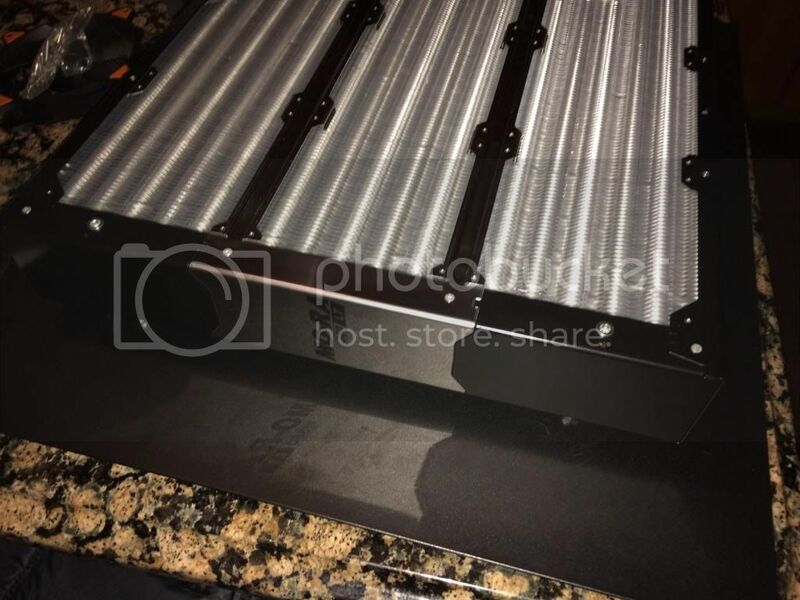 dual 10 core, 4 7990s, 1350w x 2. here are some initial pics. the fittings are old and are all being replaced to match but we wanted to make sure everything was working and since we didn't have the memory blocks in yet we threw the box together to get it up.